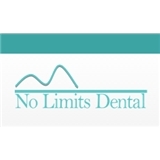 No Limits Dental (New York) - Book Appointment Online! At No Limits Dental we strive to educate our patients and create a stress-free atmosphere where patients feel comfortable seeing our dentists. We are happy to make any possible accommodations for our patients to put them at ease and make patient satisfaction a priority. Lets be honest no one likes going to the dentist. I always felt it was a necessary evil until I met Dr Rodriguez! I love her!!! She makes you feel comfortable and relaxed in the chair. She is thoughtful, caring, attentive and accessible. Her office is more like a spa then a traditional dentist office which makes you feel immediately at ease. She has been my dentist for 2 years, had multiple cleanings and cavities filled. My teeth look and feel great! I feel so lucky to have found her and have recommended her to all the friends and family. With the thousands of difficult choices you have to make everyday this is the only easy choice!